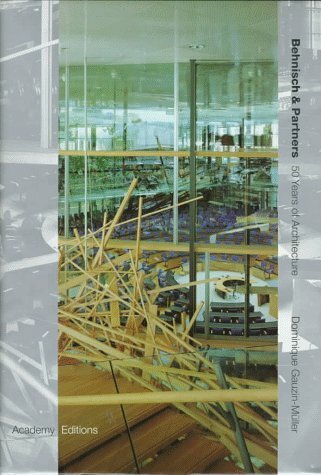 This first comprehensive monograph on the architecture of Gunter Behnisch, his partners and co-workers, gives an analysis of his architecture and the special way in which the office has always been organised, from its establishment in 1952 to the most recent buildings. A selection of 42 buildings and projects, drawn from this half century of practice, reveal the remarkable adaptability of the firm and its capacity for growth and change, and to accomodate evolving social and cultural requirements. Such notable buildings include the Fachhochschule Ulm the first large, entirely pre-fabricated public building in Germany; the Olympia Park in Munich; the famous Hysolar Institute Building, Stuttgart; the new Parliament Building in Bonn and a large number of new buildings, several of which, including the Bristol Centre for the Performing Arts are published for the first time. There are also numerous texts written by Gunter Behnisch for this book, as well as excerpts from his lectures and writings, which clarify the design method and teaching approach of Behnisch within his overall philosophy of architecture.